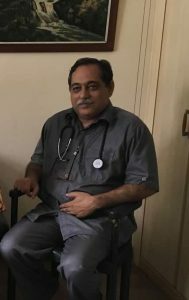 Dr. Ejaz Ahmad Chaudry operates Noble Care Malaysia, a welfare and humanity services initiative to aid deserving members of the community. Noble Care Malaysia has established six model centers in Malaysia and they provide a holistic care approach to the old and ailing community members. Dr. Ejaz is a geriatric physician, as is his wife who work together at Noble Care. Dr. Ejaz is interested in training care aids in Malaysia so that they can share their knowledge and skills to other aides throughout Asia. Dr. Ejaz is in the process of developing a corporate office in Malaysia and will oversee the Malayisan Ageing Network, a chapter of the Global Ageing Network.